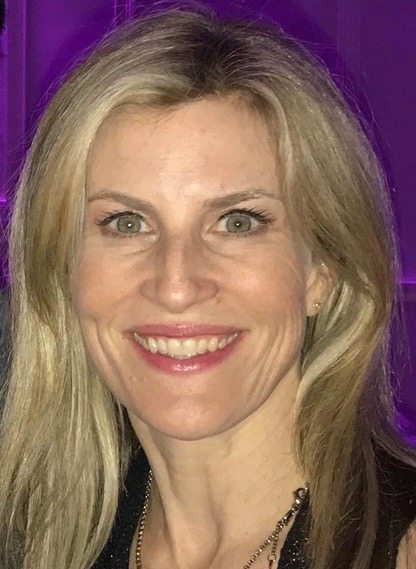 There comes a time during the summer when in the middle of camp and travel schedules – you think, hey did my kid have some homework they were supposed to do over the summer? Oh man. I think so. And then there’s a big sigh. From the parents. And the kids. 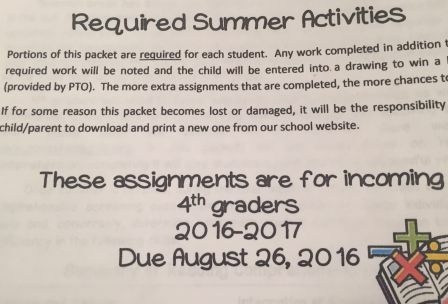 This work (basically homework for each grade level during the summer break) is designed to stop the summer slide. That’s when kids pretty much forget a whole bunch of stuff they learned over the school year. So it does make sense to actually have them do some homework so they don’t start the school year already behind. But somehow between trips, weekends with grandparents, ice cream stops, lightening bug hunts and everything else that we cram into the warm summer months, the work just doesn’t seem to get done. My kids haven’t been worried at all. But it’s been hanging over my head. A few nights ago, I finally pulled out their homework packets. And committed to having them do just 15 minutes a day. Which seems reasonable. And doesn’t invoke too much whining from the troops. Can we keep it up? I hope so. Need other ways to combat summer slide without torturing yourself or your kids too much? 1. Get your children reading. Kids who don’t read over the summer can lose up to two months or 22% of instructional time. We go to the library or I’ll let them order a few books from Amazon. I try to insist on having my children read 20 minutes a day before they can watch television. It doesn’t always happen. But I try. 2. Another idea I love? Cooking. This uses math, reading and following directions. Plus it’s fun. And I really love brownies. 3. Other suggestions… Play games with flashcards like math war to work on math skills. 4. Also, take trips to museums, zoo or parks and have your child write about the visits. It’s tempting to ignore summer work all together. My family has been specializing in it all break. But it’s not great for your kids and it’s no fun having something hang over your head anyway. Summer is meant for fun. So get them doing a little work each day and you’ll still have plenty of time to enjoy that summer break.